To get to know us better, let’s talk about the (near) future! 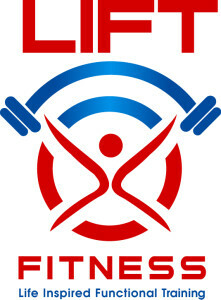 LIFT Fitness(TM) will be launching the following programs to offer better options to our current and future clients. Remember, we at LIFT Fitness(TM) believe in “Life Inspired Functional Training(TM).” Our programs always try to incorporate at some level our mantra of “Train Your Brain, Train Your Body(TM)” – this is literally what sets us and YOU apart from the other fitness programs. You will find key mindset pieces throughout our programs, and not the woo-woo stuff you may have seen before. Solid things that help you set goals, make plans and actually succeed and maintain the success long-term! >Because we believe fitness is about long-term health and wellness, unlike other programs that promise quick results yet nothing lasts, we’ve set to create a unique program that helps you to jump start, get results AND learn how to keep going in an easy way. >These programs are all about your glutes and lower body. In fact, this area of the body is not only an often sought after area for exercises, especially by women, it is also the “powerhouse muscles” for your body. Exercising these muscles results in average higher calorie burn! These programs also focus on quick, focused workouts that can be done anywhere (even the office! ), and over a short period of time (7-15 days) to get you started. >A revolutionary proprietary system will be developed for live online group classes and individual fitness instruction/personal training. This system is not only about great video feed to work together seamlessly, it is also about letting your coach/trainer/instructor have information at their fingertips about your and the progress, so they can guide you better. The result is higher quality sessions that cannot be matched elsewhere, even in person! This system will even be available to other gyms and trainers that are interested. More about us: LIFT(TM) is a name granted from the LIFT Group(TM) owned by Lucas & Therese Zarlengo, authorized by Zarlengo Holdings, LLC.